World Zombie Day? Does that really exist? Yes, you have read correctly. 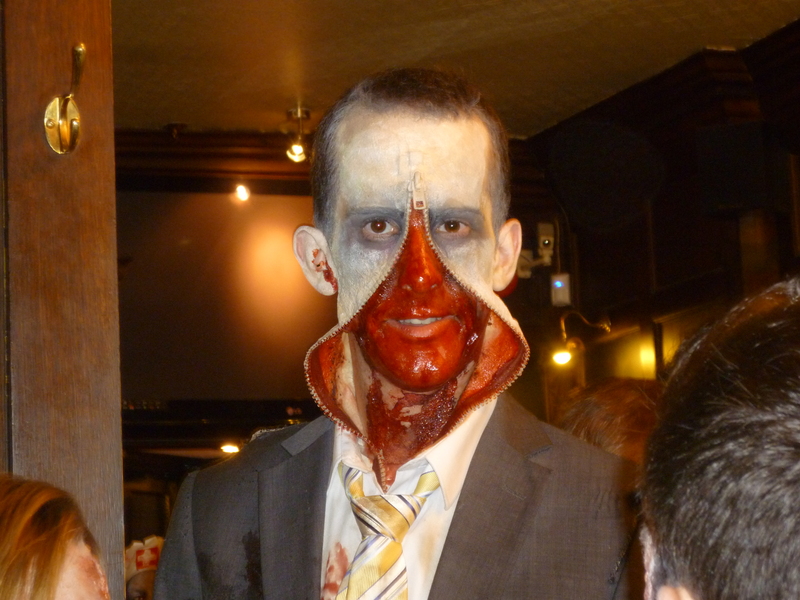 Believe it or not, zombies took on the streets of London last Saturday ahead of the Halloween weekend. This is one of those weirdly wonderful things that make good sense in London. 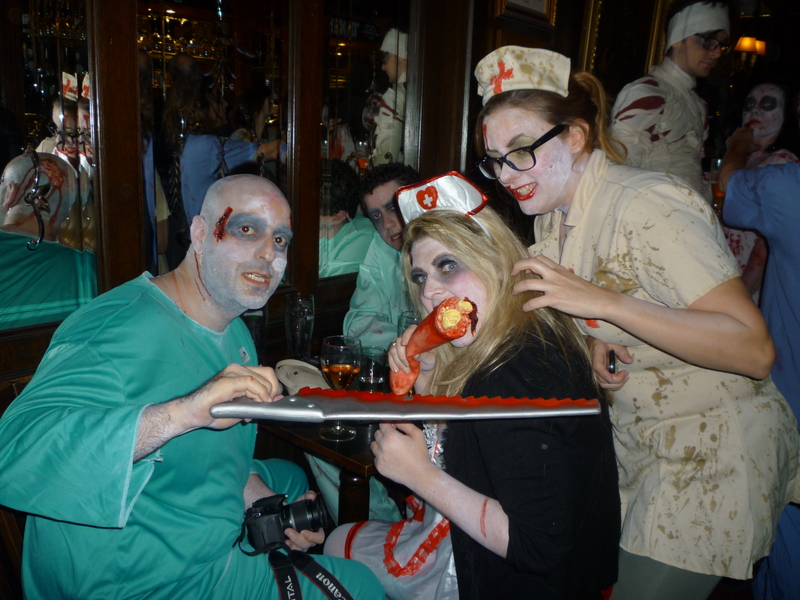 It was a yearly, international, fund-raising event organised in London in aid of the charity St Mungo´s. If you have a few pounds to spare, I´m sure many people would be grateful for your support. 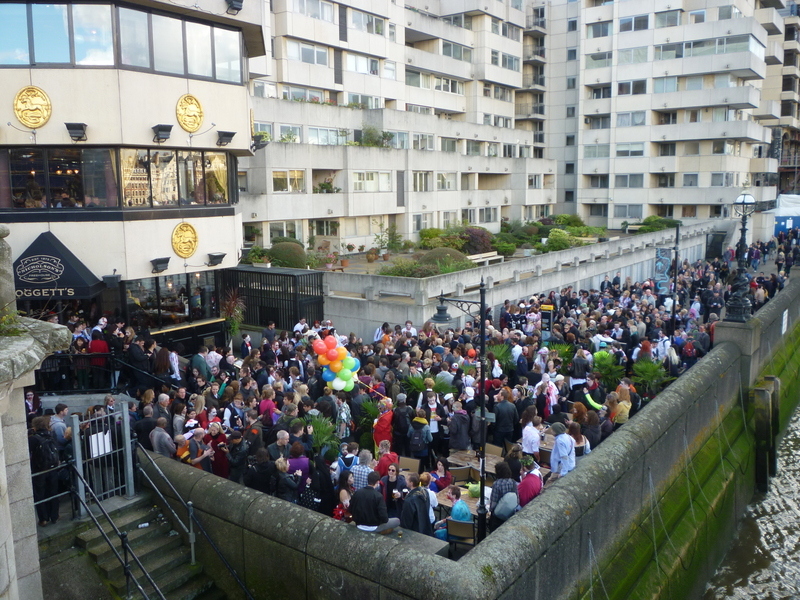 A huge crowd gathered at the Tate Modern to do a pub crawl. 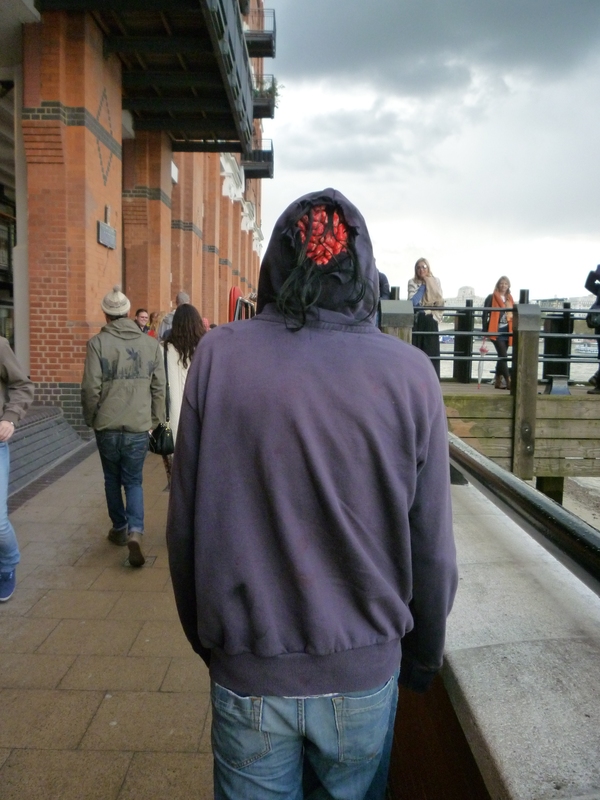 That is, the crowd would follow a specific route in Central London and stop every now and then in specific pubs. There were people of all ages, even a whole family with their baby. The parade finished at night at a rock bar. It was hugely entertaining being part of the parade. 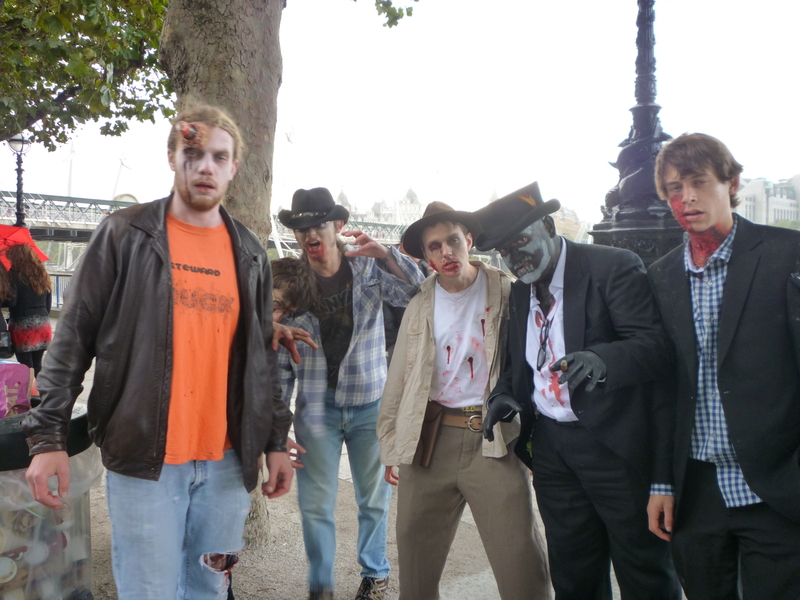 Zombies would not have a problem with posing for the amused tourists and Londoners who would take pictures. In true fact, most of the costumes that I saw there were so well-made that they deserved it. Do you think they actually scared anyone out? Do they scare you? Check the pics and the video below and tell us what you think! 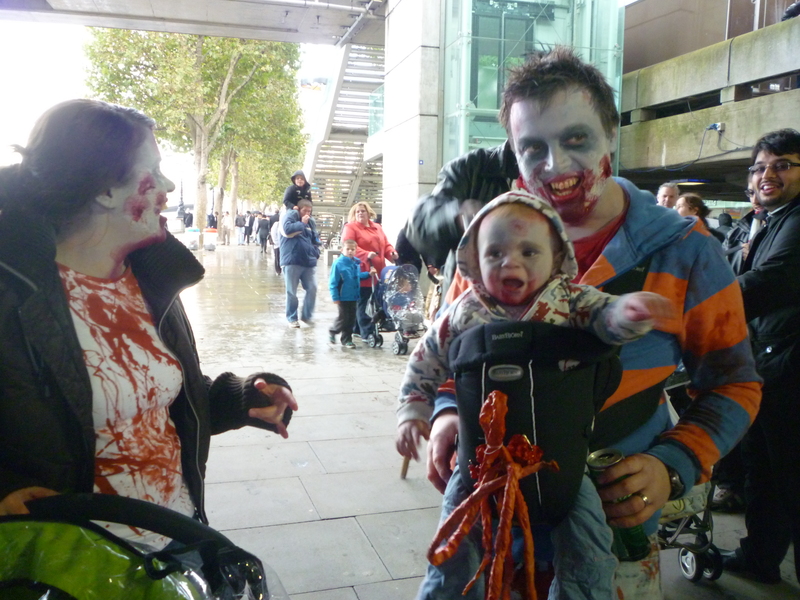 World Zombie Day in London – pleased to meet you! 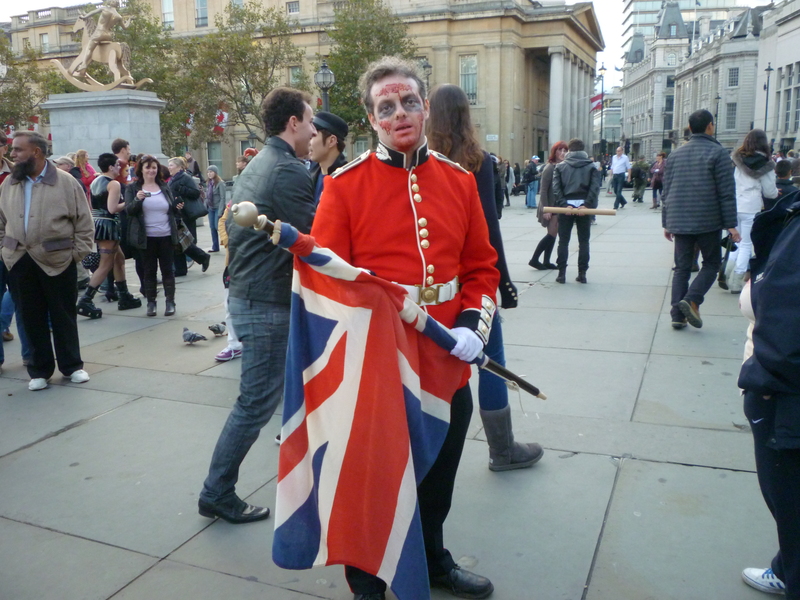 World Zombie Day in London – a figure from the past.